As of February 2019, TitleTap is pausing all new calculator sales so we can focus on launching our next generation net sheet calculator which will have a few special surprises! To be notified when it is available please click below and enter your email address. Stay tuned for the exciting details to follow! 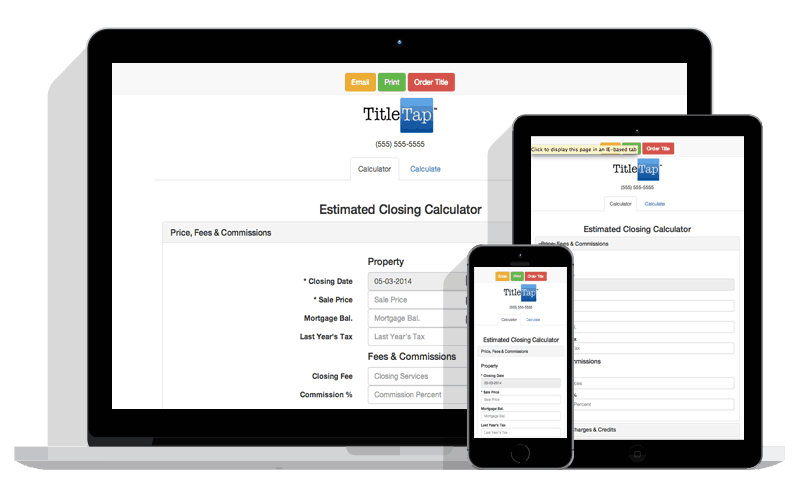 TitleTap’s estimated closing calculator ClosingTap™ is both a widget for your website AND a mobile app. ClosingTap allows your customers to fulfill their own estimated closing statement requests wherever they are, 24x7, and from nearly any device – Windows, Mac, iPhone, iPad, Android, or Kindle. Our net sheet calculator app is being reimagined! Click the button below to enter your email, and we’ll keep you posted on its availability.